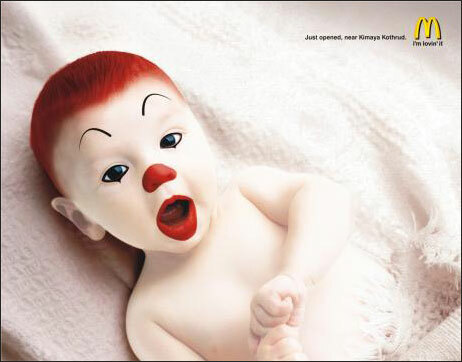 Coulrophobes have yet another reason to hate McDonald’s with this frightening ad from India, announcing the opening of a new McDonald’s restaurant. He looks ready for his first Happy Meal. Via Ads of the World.